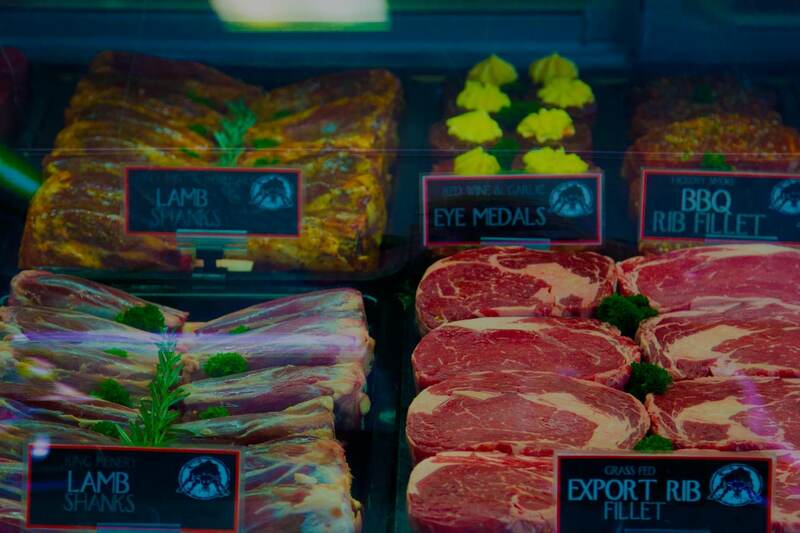 Cav’s Butchery opened in 1998 in response to an increasing number of customer requests to purchase premium, restaurant quality steaks and other specialty products. Originally operating from a boutique butchery at the rear of the steakhouse, by 2004 it had become so popular with local residents that new and larger premises were purpose-built on land purchased next door to the restaurant. Nowadays, customers can take home just about anything appearing on Cav’s extensive menu, including a wide selection of pre-prepared salads and sauces to accompany the premium aged eye fillets, t-bones, veal cutlets and many other succulent cuts. This includes ordering through the online butchery. Cav’s steaks are sourced from a network of specialist suppliers throughout Australia and New Zealand, then carefully aged for up to twelve weeks, so they remain tender and packed with flavour when they are prepared and offered for sale. Today, the butchery turns over in excess of 1,000 kilograms of meat, poultry and seafood products each week, while specialty dishes like ‘Chicken mango madness’ and delicious home made Wagyu beef sausages and rissoles are marching out the door. While quality does come at a price, it pays to buy quality when you’re buying cuts of meat. Cheap supermarket cuts are rarely trimmed well and if the meat is too tough to eat or enjoy, it’s wasted and the whole meal is spoilt. Customers frequently say that they’d rather buy a smaller piece of tender steak that they can thoroughly enjoy than a large slab of supermarket meat they can’t eat. Cav’s premium aged eye fillets are a good example: Most butchers sell the cone-shaped fillet ends along with other pieces of eye fillets. Cav’s butchers save these ends for use in their now famous chunky fillet steak family pies. Nowadays, these pies are in such demand that it is wise to order them a couple of days ahead. An extensive range of complementary sauces, salads and deli products is being constantly increased, making Cav’s Butchery the first place to visit when planning a dinner part at home, or a weekend backyard barbeque that will really impress friends and neighbours.